The HBO documentary “Andrew Jenks: Room 335” (2006), starts with the filmmaker, at age 19 and rather handsome, making phone calls to assisted living centers around the country to see if he can go live there. Most of them say that they have a minimum age of 55. He finally gets invited to live at Harbor Place, Port St. Lucie, FL, a bit north of West Palm Beach. The film shows him driving south from New York State. He mixes socially with the residents and helps out minimally, driving them to activities. A friend, Jonah Pettigrew, seems to be operating the camera. He lives there for a few weeks before his well announced departure. But before he goes, he is with one resident when she passes away, also with a priest present for prayer. She may be in a hospice at that point. Her passing is graphic and difficult. My own mother, who passed at 97, was effectively in a coma her last three days, in a hospice. Various other residents have to go to the hospital, and one of them will wind up in a nursing home. One resident comments to him that few African American and Latino elderly are in assisted living, because “they take care of their own, hands on.” But upper middle class white people don’t have the time. Life and work are too competitive. And the kind of intimacy required may be off-putting. And whites tend to have fewer children. One old man, at 80 (“Bill”) says he is still “learning” every day. I’ve seen rooms at a couple of Emeritus assisted living centers (as well as Sunrise, which runs the Jefferson in Arlington VA), and some residents have personal computers and Internet. Some are physically impaired but able to work mentally. These may be less interested in the social life inside the center than others. When he calls home, he says there are a lot of patients with dementia and Alzheimers (assisted living facilities lock units for these patients to prevent them from wandering). I remember being told by Emeritus that about 70% of Alzheimer’s patients are female, because women live longer than men. Andrew tends to be low-keyed in his conversation style. He says he want to live in their shoes for a while, not just be the guy with the camera. There is a brief episode with a power outage. I wondered if there could be issues with sudden sinkholes. The official site is here. The film has played in film festivals in Sydney, Amsterdam, and Phoenix. I watched it on Netflix instant play. Judging from what I see out on imdb, Jenks seems to be making film about significant issues. I’ll check into more of his work soon. 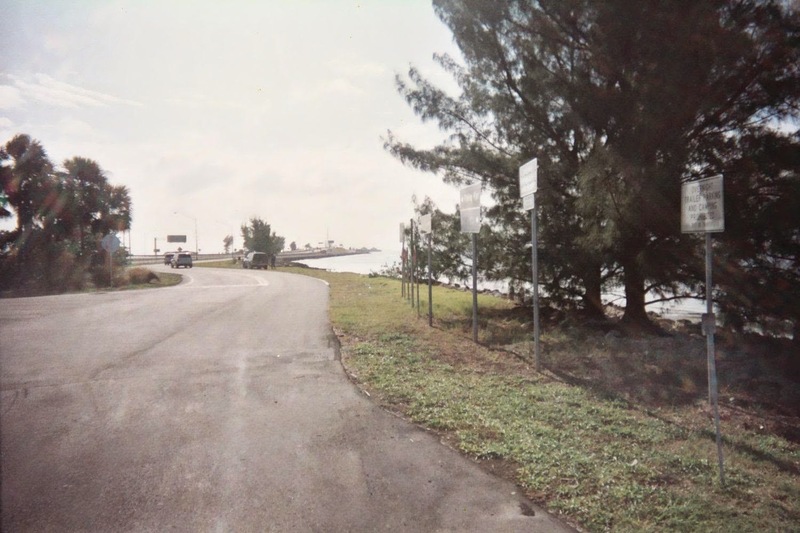 Picture: Punta Gorda, FL, my trip, 2004.